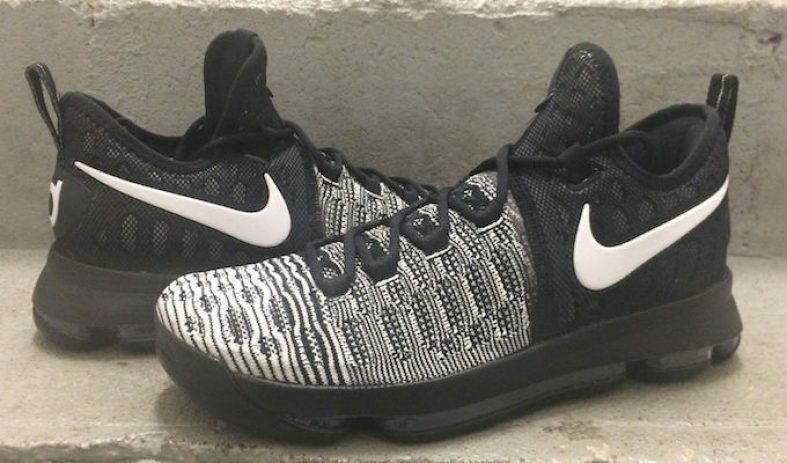 The Nike KD 9 is the talk of the performance basketball sneaker world at the moment. Detailed at Nike’s Innovation Summit, the ninth Durant model is nothing short of advanced. The sneaker combines a one-piece woven upper with full length Max Zoom cushioning. 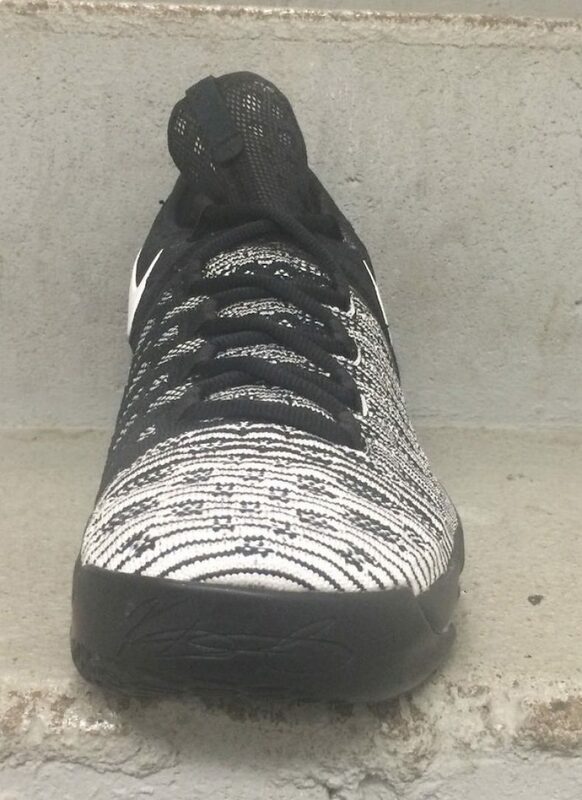 Here we get a detailed look at the Nike KD 9 Oreo. The KD 9 is set to make its more global debut when Durant dons them in the Olympics. Whether or not Durant is even going to participate in the games is uncertain. Lately, NBA stars have been dropping out at an alarming rate. If the OKC Thunder forward decides to play, he’ll be sporting the “USA” iteration. This White/ Red edition is one of Nike’s flagship releases for the model. Kevin Durant brought out a pair of the “Grey Preheat” KD 9 earlier in the play-offs. We are also expecting other colorways to drop soon, including the “USA” and “Oreo” iteration. One of the first rumored make-ups, the “Oreo” edition finally has a release date. 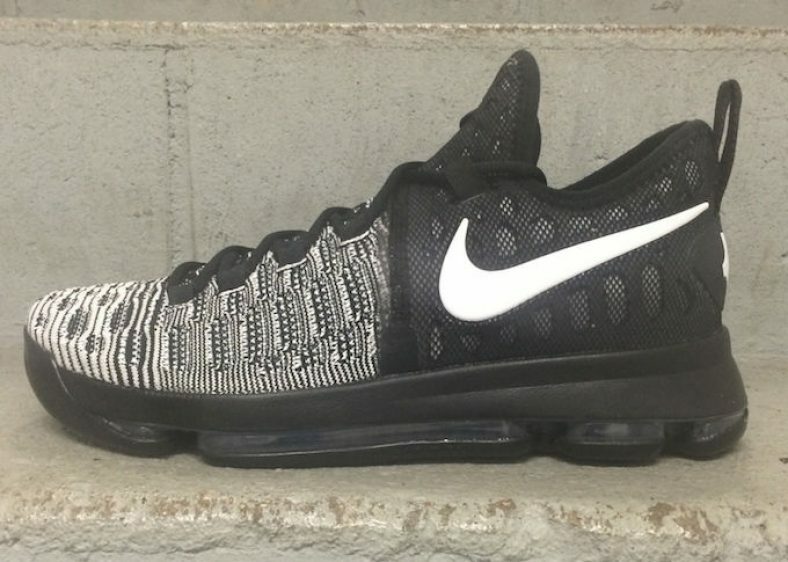 Priced at $150, this Black/ White take on the KD 9 will release on July 2nd, 2016. Until then, check out these more detailed images in the gallery above and let us know what you think. The wave of performance woven basketball sneakers continues. 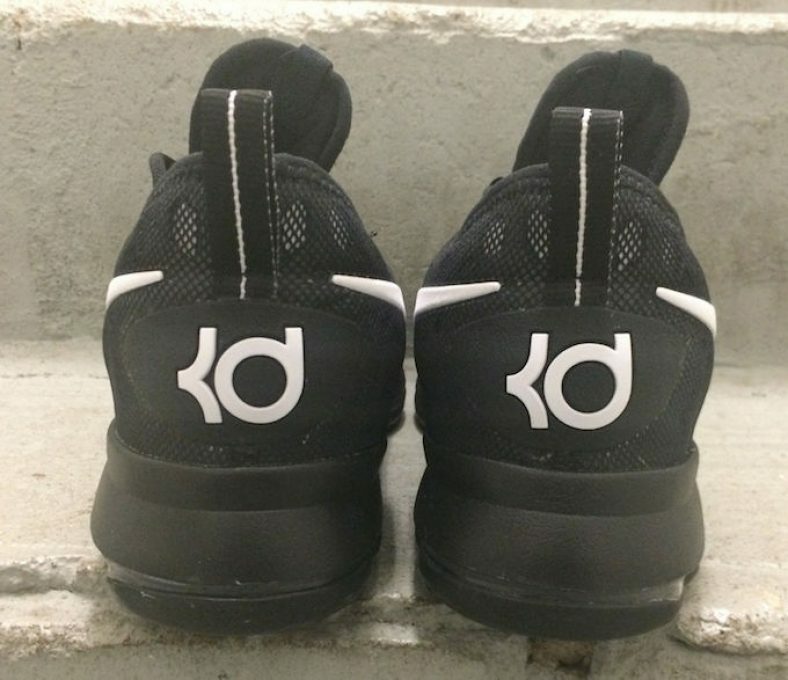 The ninth installment of Kevin Durant’s line has been going in a certain direction and this release keeps that up. 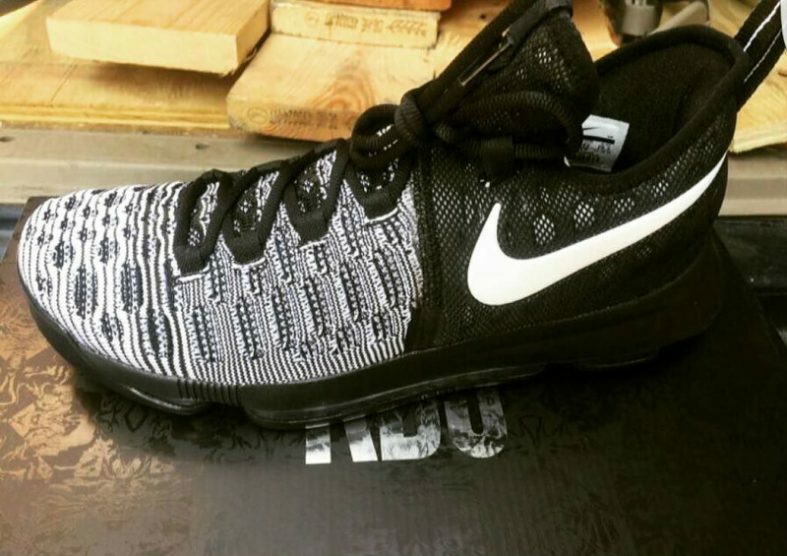 The KD 8’s woven upper was a first for the line. Clearly, this latest version only furthers that motif with its full Flyknit upper. Additionally, the full length cushioning set up is bound to be a serious selling point. This could very well be Nike’s first attempts at lowering the prices on their performers. Regardless, this looks to be a beast of an on-court model.